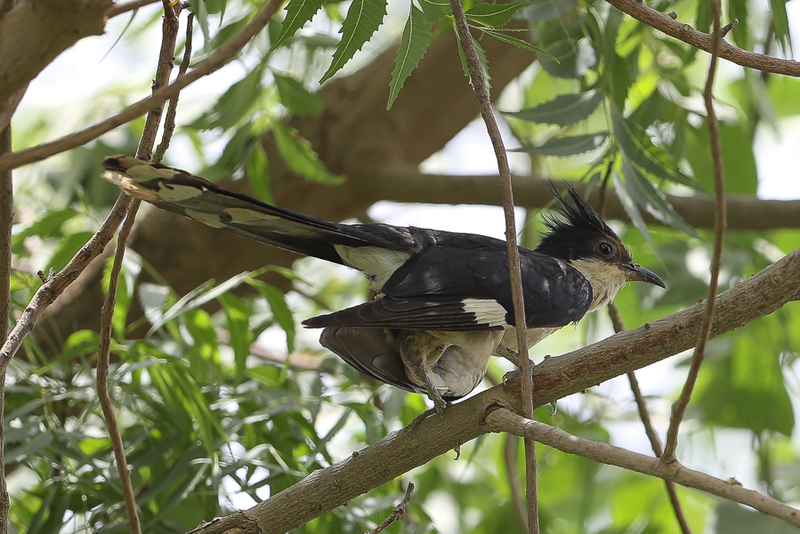 Whilst birdwatching the southwest of the Kingdom in July, around Sabya, I came across at least seven Pied Cuckoo Clamator jacobinus a species not often seen in the Kingdom. 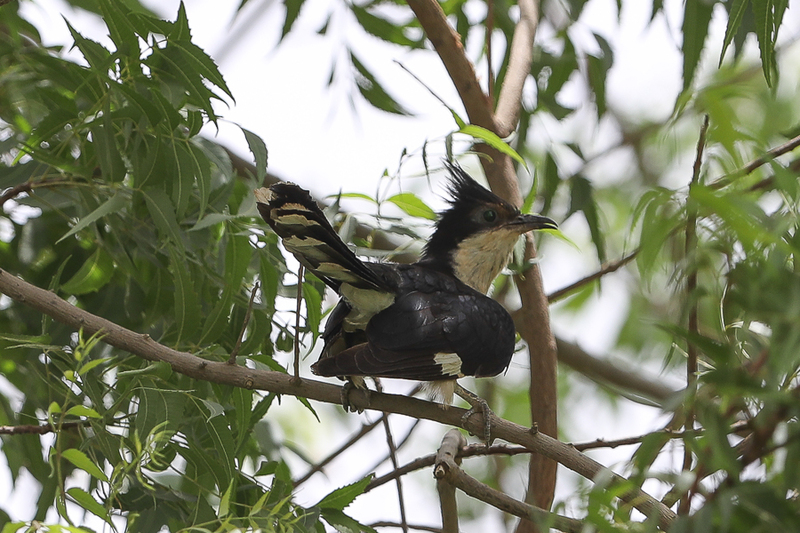 Birds were seen near Sabya Waste Water Treatment Lagoons (three) as well as at Phil’s Fields (four). Some of the birds appeared to be pairs and others were heard calling, the first time I have heard them in the Kingdom. 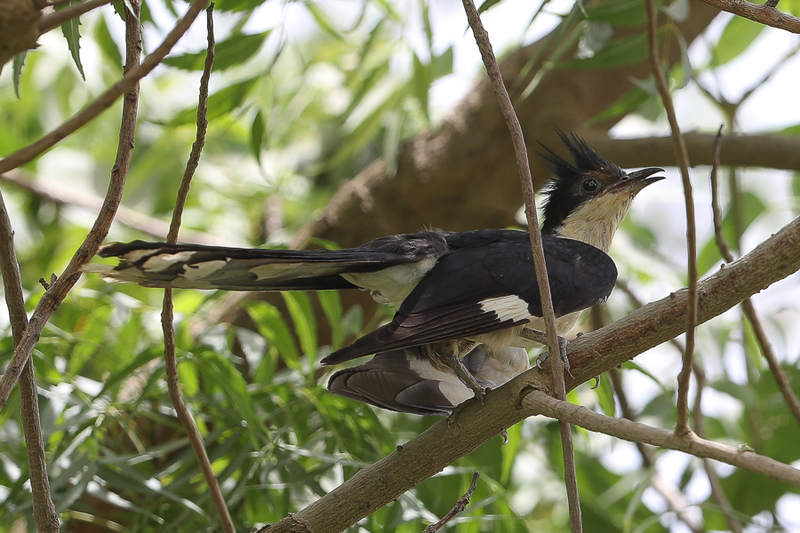 The Pied Cuckoo is a scarce and irregular summer visitor to the southern Red Sea, the Tihamah, Asir and Hejaz north to Taif. 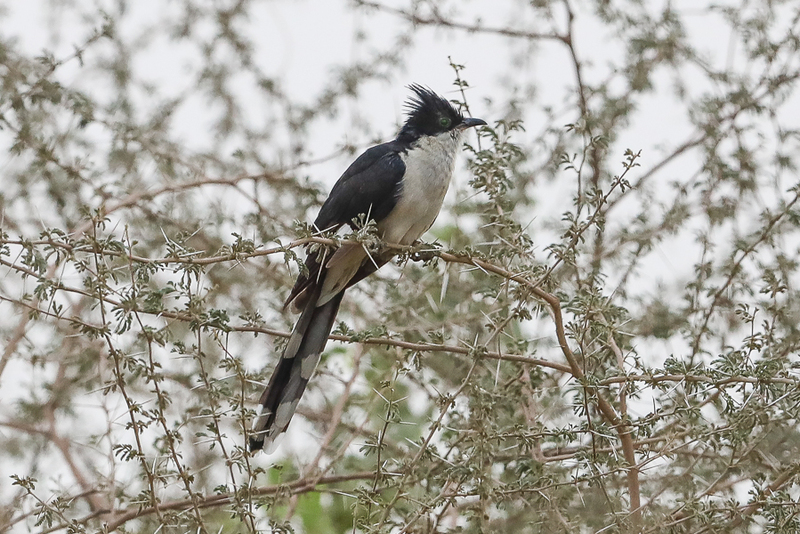 It is unclear if it breeds or is a migrant but the timing of birds in the middle of the summer months of June and July suggest it breeds in Saudi Arabia. They occur in thorn-scrub, cultivated areas, and parasitise mainly Bulbuls and Babblers. They normally occur below 1000 metres but have been seen in the mountains of the west of Saudi Arabia up to 2000 metres. The subspecies that occurs is C. j. pica that occurs from sub-Saharan Africa S to northwest India and Myanmar.